Whiplash Injury Care & Excellent Results, Naturally! Following a whiplash injury from a vehicle crash, the emergency room ISdesigned to rule-out any whiplash injury, life threatening conditions like fractures, abrasions, cuts or severe concussions, etc. from whiplash trauma. With whiplash injury trauma, the emergency room IS NOT designed to fully, or accurately access the underlying whiplash injury, whiplash misalignment injuries, the whiplash injuries to the joints and muscles that will get worse over time, if the whiplash injury is not properly corrected and the whiplash injury pain is not resolved. The KEY with whiplash injury: All of our whiplash injury treatment is focused on the deeper levels of the whiplash injury, the deeper levels of the neuro-muscular-skeletal trauma(s) and injured soft-tissue & joint articulations where the whiplash injury and pain itself is being caused or created in your body. Whiplash injury Prescription and OTC pills and whiplash injury pain injections / shots are only designed to temporarily reduce whiplash injury symptoms without any focus on treating or correcting the deeper, real causes of continued whiplash injury trauma and whiplash pain. Whiplash Headaches, Back & Stomach Pain: “From an auto collision whiplash injury, I suffered severe Headaches, Back & Abdominal Pain! I was in constant pain from one thing or another. Life was miserable! I’m a Med Tech, so I did the usual, saw medical doctors and took their pain medications. Then I came to see Dr. Miller. He showed me how my injuries from the whiplash were not being diagnosed correctly. He really made sense. After only 2 Weeks, I had improved and I’m out of pain and off medications. Dr. Miller’s care is “Fantabulous!” Valerie A. MT. Results may vary. Q & A with Dr. Miller on Whiplash Injury. Question: With Whiplash Injury – Does it make intelligent sense to use state-or-the-art, computer examinations to determine exactly how these whiplash injury misalignment displacements injuries have occurred at each region injured? Question: With Whiplash Injury – Does it make intelligent sense to correct these whiplash injury misalignment displacements injuries to prevent arthritis and degeneration of the joints which will likely occur if left uncorrected? Question: With Whiplash Injury – Does it make intelligent sense to restore the motion, strength and function of the injured regions caused from whiplash injury or whiplash trauma? Computer assisted motion and strength testing for accurate documentation of whiplash injury and evidence based presence of whiplash injury. State-of-the-art, computerized x-ray whiplash injury analysis, using weight bearing x-rays to fully assess the whiplash injury. Digital analysis of brain, nerve and vascular functions to assess post traumatic whiplash injury. Computer visual using the neuro-patholator system for demonstrating whiplash injury. State-of-the-art, specific, gentle, whiplash injury corrective procedures based on computer assisted analysis of whiplash injury. No rotational procedures on the spine are used in our facility. State-of-the-art, whiplash injury therapy to restore normal motion to muscles and joints injured from whiplash injury trauma. State-of-the-art, whiplash injury, physical rehabilitation therapy to restore normal strength and function to injured muscles and joints from whiplash injury trauma. State-of-the-art whiplash injury reporting to insurance company and personal injury attorney. All Whiplash Injury – Personal Injury Reporting, (whiplash injury) reporting, is based on the American Medical Association, 5th Ed. Whole Person Impairment Rating Guidelines. Deposition and court room testimony for whiplash injury trauma is available. Scientifically based whiplash injury care. Extraordinary whiplash injury care results. Patients Come To Us From All Over Kentucky And Beyond For Whiplash Injury Care. Many of our whiplash injury patients come to us from the Lexington, Kentucky area, for whiplash injury care, as well as communities surrounding the Lexington, Kentucky area. Including communities that are an hour up to three hours from the city of Lexington, Kentucky. For whiplash injury care Lexington, Kentucky is not to far to drive for an individual to get their whiplash injury treated and their health restored and the life back in order. Whiplash injury can permanently alter a persons health if the whiplash injury is not properly treated. Scientific Whiplash Injury Care can reverse Whiplash Injury Pain. Whiplash Injury can be reversed when the treating doctor addresses Whiplash Injury at the deeper levels of Whiplash Injury dysfunction. The deeper levels of Whiplash Injury dysfunction is the level where Whiplash Injury dysfunction can be effectively reversed! Your whiplash auto accident doctor of chiropractic at True Health Solutions of Lexington, will offer auto accident whiplash injuries rehabilitation treatment for your auto accident whiplash injuries that may have occurred to your neck, upper back, shoulder and more. At True Health Solutions of Lexington, Dr. Miller, your auto accident doctor of chiropractic, is highly trained to correctly diagnosis the different types of auto accident whiplash injuries and to then recommend specific and very gentle chiropractic corrective care procedures and treatment that have demonstrated a track record of stabilizing those auto accident whiplash injuries, including auto accident whiplash injuries rehabilitation for long-term stability and improved function. Dr. Miller, your auto accident chiropractor will use amazing therapies and gentle corrective care type procedures of your spine or injured regions, to return you to a healthier state. Your auto accident chiropractor, Dr. Miller’s goal is to return his ‘auto accident whiplash injuries rehabilitation’ patients back to normal spinal mechanics along with relaxing the injured muscles and improving the normal functions and no longer suffering ‘auto accident pain’. Your whiplash auto accident chiropractor, Dr. Miller is trained to evaluate your entire spine and all injured regions, for auto accident whiplash injuries and needs for rehabilitation. This chiropractic care evaluation will include your neck, mid back and the lower back. It is important to remember after your auto accident that just because your low back is hurting (or shoulder pain or leg pain), that the low back pain may be coming from somewhere else along your spine. It may be a special type of auto accident pain called ‘referred pain’. This special type of awhiplash uto accident pain starts in one area of injury and is ‘referred to another area’, thus is called ‘referred pain’. Your auto accident chiropractor, Dr. Miller will examine you for tenderness, tightness, and how well each spinal joint moves. Your auto accident chiropractor, Dr. Miller will be able to determine a course of chiropractic care measures to restore your neck and back to optimal spinal health after your auto accident. Do not be surprised if your auto accident chiropractor, Dr. Miller analyzes how you walk and also look at your overall posture and spinal alignment, even using computers for absolute accuracy, after your auto accident and periodically to check your progress. There are treatments that have been “scientifically and clinically” proven as effective for auto accident symptoms that your auto accident chiropractor, Dr. Miller will ask for you to do them at home. Just ask your auto accident chiropractor, Dr. Miller, before using them as they have been very helpful for thousands of other auto accident patients, but you need to be evaluated by Dr. Miller to ensure they are appropriate for you and your auto accident injuries. Your auto accident chiropractor, Dr. Miller encourages early movement instead of immobilization for your corrective chiropractic care. Using ice may be one of the things you want to do when you get hurt, as it is very human to want to ice and to curl up in a ball in hopes all the pain and trauma will just go away. It was the last thing one patient wanted to do, but Dr. Miller was right as ice kept the auto accident pain and swelling down. Listening to a highly trained and experienced chiropractor, when you have a whiplash, truly is the best thing you can do. Follow Dr. Miller’s guidance and you will be amazed now and down the road at your recovery. Your recovery will be especially poignant in the future, when you hear the horror stories of people who never got chiropractic corrective care for their whiplash injuries and twenty years later are told by their medical doctor their only option is to get neck or back surgery for unrelenting pain. No matter where you are with your injuries, take a moment to call True Health Solutions of Lexington, to make an appointment with Dr. Miller. He has many patients who will tell you how happy they are with their recovery from whiplash. See just some of these auto accident testimonials at BetterHealthKY.com, you’ll be so glad you did! Your chiropractor, Dr. Miller will offer auto wreck injury rehabilitation treatment for your auto wreck injury to your neck, upper back, and shoulder, for neck pain, back pain and other pain and more. Your chiropractor, Dr. Miller is trained to diagnosis the different types of auto wreck injury and to then recommend specific chiropractic care treatment approaches, or a natural approach with real results for those auto wreck injury including auto wreck injury rehabilitation. Your chiropractor, Dr. Miller will use therapies and gentle manipulation of your spine to return you to a healthier state. Your chiropractor, Dr. Miller’s natural approach with real results goal is to return his auto wreck injury rehabilitation patients back to normal spinal mechanics along with relaxing muscles without auto wreck pain. Dr. Miller is trained to evaluate your entire spine for auto wreck injury rehabilitation. This chiropractic care evaluation will include your neck, mid back and the lower back. It is important to remember after your auto wreck, that just because your low back is hurting, that low back pain may be coming from somewhere else along your spine. 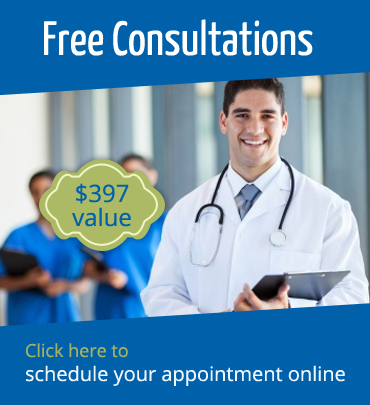 You will be checked to find the causes of your for neck pain, back pain and other pains. Your chiropractor, Dr. Miller will determine areas of restriction in your joints, the possibility of disc injury, muscle spasms, and potential ligament auto wreck injury. He will feel for soreness, tension, to determine how each spinal joint moves. Your chiropractor, Dr. Miller will be able to determine a scientific and natural approach for chiropractic care measures to restore your neck pain, back pain and other pain to optimal spinal health after your auto wreck. Do not be surprised if your chiropractor, Dr. Miller analyzes how you walk in a scientific and natural approach and also look at your overall posture and spinal alignment after your auto wreck and periodically to check your progress. These details will help him understand your body mechanics and how well your spine is working and moving after your auto wreck injury to design the best auto wreck injury rehabilitation. There are for neck pain, back pain and other pain treatments that have not been scientifically proven as effective for auto wreck symptoms that you might want to ask your chiropractor, Dr. Miller if you can do them at home. Just ask your chiropractor, Dr. Miller before using them as they may have been helpful for other auto wreck patients but unwise for you. For neck pain, back pain and other pains, a natural approach with real results is what we work for. Your chiropractor, Dr. Miller encourages early movement instead of immobilization for your chiropractic care. Using ice may be the last thing you want to do when you get hurt. It was the last thing I wanted to do, but he was right as ice kept the auto wreck pain and swelling down. Your chiropractor, Dr. Miller may tell you that ice may be applied for the first 24 hours, followed by gentle active movement for auto wreck injury rehabilitation. “My medical doctor has me on several pain pills, the same ones the Emergency Room prescribed. He said the ER would have done what was needed, in addition to his brief evaluation, to evaluate my injuries from an auto-accident. If fact he said I didn’t need to go to a chiropractor or get Chiropractic care at all, as it may be dangerous. He sent me to physical therapy but it didn’t seem to help very much, at least the help didn’t seem to last very long before I was back in pain again and taking pain pills. Clinically speaking… The ER will evaluate auto accident injury victims and IS set up to evaluate for any life threatening injuries like fractures, broken bones, cuts and abrasions and brain injuries. The ER – IS NOT – set up to properly evaluate the underlying, whiplash type injuries that always occurs in an auto accident collision resulting in personal injury to the neck and back and many other regions to an auto accident victim. These injuries will nearly always go un-evaluated at the ER, as well as, the conventional medical doctors’ office where additional pain pills is usually the main form of care. In Chiropractic care, Proper evaluation of the underlying whiplash injuries is a specialty taking years of training and experience to perform and document properly. Literally speaking… millions of injured whiplash auto accident victims have gotten complete relief of their neck and back pain with conservative, gentle, progressive chiropractic procedures and Chiropractic care with injury rehab therapies and injury exercises. With Chiropractic care, It is a well known reality, as your chiropractic accident doctor will share with you, patients do get into auto wrecks, collisions and other all kinds of other accidents, time and again, suffering personal injury to their lower back pain and injury with neck pain. Accident victims may think they will be all right eventually, even if they leave well enough alone and not get Chiropractic care, but they quickly realize they are not all right at all, suffering with neck pain, back pain and or other pain and even whiplash injury symptoms that usually is resolved with Chiropractic care. Whiplash injury symptoms are known to cause no end of trouble down the road, ending in serious neck surgeries and chronic pain syndromes which can also be resolved with Chiropractic care. 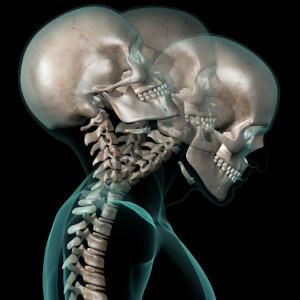 Unless the underlying whiplash injury to the auto-accident victims neck and back regions is properly evaluated with Chiropractic care, these injuries will get worse over time, adding to ongoing pain and the auto-accident victim’s activities throughout the day will be more and more restricted as arthritis to the joints and muscles set in. All of these problems can be relieved with Chiropractic care. New personal injury lower back pain and neck pain symptoms can show up for months after the auto accident collision, as your chiropractic accident doctor knows. If you or a dear one is involved in any type of personal injury lower back pain and neck pain accident, it is imperative to get checked out right away by a highly trained and experienced health care professional, particularly an injury specialist chiropractor who uses a scientific, computers in Chiropractic care examinations and a natural approach to treating the real underlying injuries caused by the auto-accident collision with Chiropractic care. Even little accidents have caused severe with neck pain, back pain and or other pain from whiplash injury, and Chiropractic care treats whiplash symptoms, additional injuries and even deaths. Since your chiropractor can be your best ally in any kind of a personal injury, your own chiropractor and Chiropractic care can be a great expert to see first after a personal injury lower back pain and neck pain accident. Your scientific and natural approach chiropractor with Chiropractic care works on keeping your body well by gently correcting the misaligned (from whiplash trauma) bones in the neck and back, to free the nerve energy with Chiropractic care. When your body is hit by a motor vehicle, steering wheel, the floor and even your own seat-belt, and more, you can suffer underlying and undetected, grave injuries that will not get better without experienced chiropractic care. Ignoring neck pain, back pain and or other pain and even whiplash injury symptoms and other injuries, at the instant of personal injury lower back pain and neck pain accidents, does not make them disappear, like Chiropractic care. Many thousands of hurt people live with permanent damage years after their accidents, because they never took the time to get chiropractic care with a natural approach with very real results. Your chiropractic accident doctor will tell you, a good chiropractor providing good scientific and natural approach chiropractic care will work on your neck and back, and also other joints to return them to their correct positions if it is at all doable after your wreck. Listening to your chiropractic accident doctor and following the chiropractic scientific and natural approach care recommendations of your chiropractor, might prevent incalculable suffering, current and future medical costs and surgical procedures you could face even later in your life. Your chiropractic accident doctor has seen many cases of people who trip and fall, or are hit by vehicles and suffer brain injuries and personal injury lower back pain and neck pain. Even when your head never hits another thing, you can receive serious, life-changing brain damage, from your accident, and be in need of natural approach with real results from Chiropractic care. Chiropractic care and your chiropractic doctor, Dr Miller, is the one to see for amazing results from very specific and very gentle Chiropractic care. Dr’s. Miller, your Chiropractor has decades of combine experience handling all types of personal accident injury cases, from car accidents and truck accidents to pedestrian accidents and brain injuries. No matter what type of personal accident injury case you have, if it is a chiropractic problem, your chiropractor will work to see you are treated quickly after your accident injury, at Dr. Miller. Many patients are referred from the Lexington and surrounding communities seeking an amazing and all natural, scientific approach to truly fixing what was injured in their whiplash injury or other trauma injuries. Auto Accidents: There are specific things you can do after getting in a personal accident injury. These are things that will make it easier, for your chiropractic doctor to get you back to the highest level of health possible after your personal accident injury. Brain Injuries: If you or a loved one has been involved in a traumatic accident injury in car, at work or other place, which resulted in a brain injury, Dr. Miller can help. Your chiropractic doctor has taken care of many personal accident injury victims every year and your injury doctor knows what it takes to make sure you get you to the highest level of health possible through chiropractic care after your accident injury. Motorcycle Accidents: Your chiropractic doctor believes motorcycle safety is a number one concern, but an accident injury can happen to the any of us, any day. Your injury doctor wants to let you know what can be done to support you if you have a personal accident injury with a motorcycle. Your chiropractic doctor would prefer you learn how to prevent a personal accident injury from happening, but is here to help you if it happens to you. Truck Accidents: If you have been injured because of an automobile accident with a big truck, a chiropractic doctor can be of assistance. Your injury doctor takes care of personal accident injury victims in Utah every year and knows what it takes to make sure you get chiropractic care quickly to get back to your life after your accident injury. Bicycle Accidents: If you are struck by a car while riding a bicycle, you are covered by Utah no-fault auto insurance for a bike personal accident injury, meaning you should have no out-of-pocket medical expenses. It is important to look for treatment quickly to assist you recovering from your bicycle personal accident injury. It is also important to get thorough examinations so your injury doctor can treat most or all of your related injuries with chiropractic care. Pedestrian Accidents: Pedestrians with an accident injury are covered by the no-fault auto insurance of the vehicle that hit them, who will pay their medical bills. That really helps personal accident injury victims to have a great chiropractic doctor to handle their chiropractic accident injury without having out-of-pocket expenses. If you are injured, then your injury doctor will take care of you, providing chiropractic care. Slip and Fall Injuries: There are over a million slip and fall accidents annually and the average accident injury costs the injured person thirty thousand dollars for lost wages, current and future medical and chiropractic care requiring the help of a good chiropractic doctor, like Dr. Miller. Massage Therapy and other Natural Therapies help your Whiplash Type Injury will help with whiplash. Having a whiplash type injury can be one of the severe situations that, if left untreated can cause chronic headaches, discomfort in the extremities as well as back discomfort indicating the use of scientific and natural approach clinical massage therapy and other natural therapies. Whiplash type injury happens when a tremendous force is exerted on the neck muscles or back back muscles like in a rear-end car accident. There are many ways to treat a Lexington, Kentucky whiplash type injury and one of these is clinical massage therapy and other natural therapies. If you have experienced a whiplash type injury in Lexington Kentucky and you may want to find out if clinical massage therapy and other natural therapies will help your whiplash type injury, seek this right here in Lexington Kentucky. Will a Whiplash Injury, Clinical Massage Therapist and Other Natural Therapies Help Your Whiplash Type Injury? Massage, specifically clinical massage therapy and other natural therapies treat a whiplash type injury by professionally relaxing tense and injured muscles. Clinical Massage Therapy and other natural therapies can stop acute and chronic symptoms from emerging in injured whiplash patients. Massage and other natural therapies, in addition, provide emotional benefits to an whiplash injured person who recently experienced an accident in Lexington, Kentucky or surrounding areas to Lexington, Kentucky. Clinical Massage therapy and other natural therapies will help your whiplash type injury, but it is important to start natural treatments slowly, with caution and consistently. Do not begin a massage and other natural therapies regimen immediately following an accident. It is best to wait a few days, resting with cold compresses for a day or two. Then when whiplash type injuries appear a day or so later, beginning a whiplash massage therapist natural treatments slowly will help restore the whiplash injury. After a traumatic Lexington, Kentucky whiplash injury, the body needs rest, cold compression and avoiding anything that can exacerbate the whiplash injuries. At first, natural treatments of a whiplash type injury may begin with simple, gentle movement of the head and neck. The neck is the area where whiplash type injury is usually most pronounced. Gentle movement from professional, whiplash massage therapist helps ensure good circulation as well as promoting healing. It might be essential to talk to a number of whiplash massage therapists before you find one you are happy with. Save yourself time and effort by trusting Dr. Miller’s recommendation at True Health Solutions of Lexington. To get the most whiplash massage therapy benefits from your massage therapy and other natural therapies, use supplementary healing methods. Get enough rest and steer clear of stress when recovering from a whiplash injury. Using ice as a natural pain reliever will help lessen whiplash type injury. The massage therapist may also advise other healing techniques such a scientific and natural approach. When you make a Lexington, Kentucky whiplash massage therapist appointment with a skilled massage therapist it is vital to talk to the massage therapist and let him or her know where you hurt. Give the massage therapist comments about what does or does not feel good. This allows the Lexington, Kentucky massage therapist to adapt the natural treatments to your particular injury in a scientific and natural approach. Massage and other natural therapies certainly will help your whiplash type injury if it is part of your natural treatments regimen. The most important thing is to listen to your own body, make an appointment with Dr. Miller, at True Health Solutions of Lexington, so that you can seek whiplash type injury natural treatments for your whiplash injury that is right for you. 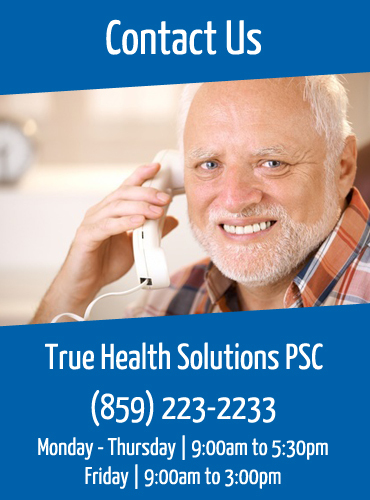 Patients come to True Health Solutions of Lexington from Lexington, Kentucky and the communities surrounding Lexington, Kentucky. Many patients present to our facility from one to three hour drive to the Lexington, Kentucky area. So many of our patients say, “Lexington Kentucky is not to far to drive to get the help for my whiplash injuries and get my life back!”. Lexington Kentucky is easy to get to from miles around Lexington Kentucky and our facility is very conveniently located just off New Circle Rd 4 and Harrodsburg Rd Hwy 68 on the south side of Lexington, Kentucky. Massage and other Natural Therapies help your Whiplash Type Injury, It’s never too late! If you have back of the neck pain think about chiropractic treatments, you may have been told there is not a thing you can do other than taking back of the neck pain medications or resting and you may wonder whether your should use ice or heat on your injuries. That is when good chiropractic treatments from a great Kentucky chiropractor can make all the difference in the world. Back of the neck pain is an ever-increasing whiplash neck pain injury issue in America and as a consequence more and more people with back of the neck pain injury issues are seeking chiropractic treatments. Chiropractic treatments is very successful for a lot of the back of the neck pain injury issues that cause back of the neck pain and even though a situation such as osteoarthritis is not curable, the issues can be reduced and the progression of the whiplash neck pain injury issue can be helped thanks to an exceptional approach to back of the neck pain injury treatment. If back of the neck pain is limiting your daily activities, see a whiplash neck pain injury chiropractor. If you are being given back of the neck pain medication or told to rest with no long-term improvement see a whiplash neck pain injury chiropractor. If you have arthritis and are told there is nothing you can do about it by other professionals, see a whiplash neck pain injury chiropractor of chiropractic. Chiropractic treatments may well be the answer. When you have back of the neck pain, all the anatomical components need to be examined including your mid back, low back, shoulders, arms and hands, due to relationship of each and the pressure they have on the neck. When injured, you need a whiplash neck pain injury chiropractor evaluation of the other joints and muscles relating to the neck. This is for several reasons. Back of the neck pain can be referred from other structure in certain circumstances. To resolve the back of the neck pain issues, chiropractors may also treat other areas, because of referred pain. First reduce joint inflammation and reduce back of the neck pain. Then prevent aggravating factors, use brace support, or special pillow. Ice can be used to lessen swelling, muscle spasm and pain. Soft tissue therapy can be used like laser, interferential therapy and ultrasound. Secondly, stabilize joint function. Chiropractic treatments techniques should be used for limited movement in the neck, for increasing movement, improving function and reducing pain. Relief and healing can be helped through deep soft-tissue massage. Thirdly, adopt a therapeutic exercise program for back of the neck pain injury. Back of the neck pain exercises from your chiropractor, improve strength, stability and endurance. Improving your balance and sense of joint position, will help you return to normal and prevent additional injuries. Dr. Miller, Lexington chiropractor of True Health Solutions & Chiropractic of Lexington will help you take control of Whiplash pain from neck to shoulder relief in what matters most in your life. You may be surprised to learn how often a huge collection of symptoms can be helped through chiropractic and natural health care, not just back neck pain relief. Your Lexington chiropractor, Dr. Miller, believes in providing you with the back neck pain relief care you require to help you get back to the things you love in life. Our intent is to also maintain a high level of health through chiropractic and natural health care. Lexington chiropractor, Dr. Miller and the staff at True Health Solutions & Chiropractic of Lexington understand the difficulties you are going through and are well experienced to take you from back neck pain relief to your optimum level of health. At True Health Solutions & Chiropractic of Lexington we make available extremely exceptionally and outstanding thoughtful chiropractic and natural health care and superior patient treatments, chiropractic back neck pain relief, education and ultimate satisfaction. Lexington chiropractor, Dr. Miller, treats whiplash pain from neck to shoulder accident injuries, neck pain and back neck pain relief, backaches, chronic or acute headaches and other varieties of traditional and advanced and holistic healing methods. Chiropractic patients from Lexington, Kentucky, get back neck pain relief. Chiropractic and natural health care is for individuals who believe in a healthier lifestyle improving Whiplash pain from neck to shoulder relief. By maintaining balance within the spine and nervous system, which is achieved through chiropractic and natural health care, back neck pain relief can be taken care of and chiropractic and natural health care can be achieved. Lexington chiropractor, Dr. Miller, and staff are also certified in a variety of supplemental therapies for the relief of your whiplash pain from neck to shoulder. Lexington chiropractor, Dr. Miller’s methods can not only helps your body with back neck pain relief but also increase your lifespan simply by dealing with your back neck pain relief. If treatment for Whiplash pain from neck to shoulder relief is properly handled, some experts believe the human body could last over a hundred years. For proper nervous system control of your body, chiropractic and natural health care will get you back neck pain relief. Contact Lexington chiropractor, Dr. Miller, about your back neck pain relief today. If you suffer with whiplash pain from neck to shoulder relief, let Dr. Miller provide you with professional chiropractic and natural health care, to help you get your days back to a better plane. See your Lexington chiropractor, Dr. Miller for your professional chiropractic and natural health care as soon as possible, so you do not suffer neck pain or other whiplash symptoms any longer than you already have suffered. The reasons for the whiplash pain are important to know for correct whiplash treatment to be effective. When the whiplash patient, with persistent pain, who does not have any additional particular findings through exam or specific tests, who presents the majority of problems for himself or herself, their doctor. In a couple of weeks to a few months after the whiplash patients’ car accident or truck accident, it is frequently unfeasible to settle on the precise reasons for the whiplash pain. The whiplash symptoms are not adequately exact. In approximately every occurrence, the muscles and ligaments have been strained and might be inflamed, painful, and tender. On the other hand after about three months, primary muscle or other soft tissue injuries usually have healed. The most common reason for persistent pain in whiplash is the facet joints and the discs. There is a poor correlation between the radiographic appearance of the joints and whether they are painful. Some joints which look bad are painless while other joints which look normal may be proven to be a source of pain. Only facet injections may determine whether the joint is painful. In a research study in about one fourth of the whiplash patients, facet joints on their own were the reason of pain. In one fifth of whiplash patients the discs only were the reason of pain and in 41 percent of whiplash patients both the facet joints and discs were contributing. They were not able to identify the source of the pain in only 17 percent of their whiplash patients. Many whiplash patients have symptoms which seem unexplainable, such as headaches, pain in the shoulders, between the shoulder blades, or in one or both arms. There might be fatigue, dizziness, problems with vision, ringing in the ears, heaviness in the arms, and low back pain. There may be poor concentration or memory, change in emotions with irritability, depression or short temper, and sleep disturbance. Dizziness happens in one-quarter to one-half of people with whiplash injury. Again, researchers are not sure of the reason. The most likely explanation is an injury to the part of the inner ear which regulates balance. Problems with memory and concentration may be due to the pain itself, depression, medications, or trauma to the brain. Visual disturbances happen in 10 to 30 percent of whiplash patients and blurred vision is the most common. Luckily, a good number of people who suffer from whiplash neck pain after a whiplash injury do get much better within six months. On the other hand, a small percentage of injured people will continue to have pain without treatment. Most whiplash patients destined to get better completely will have done so by three to four months, after which the rate of recuperation slows markedly. By two years, essentially all whiplash patients have reached their individual maximum improvement. About 18 percent continued to have serious pain two years after the accident! Whiplash patients who did not get well tended to be older, and had significant pain beginning soon after their accident, and many had their heads rotated to one side at the time of their impact. They additionally found which whiplash patients who, before the accident, had a history of neck pain, arthritis of the neck, or headaches did not do as well.